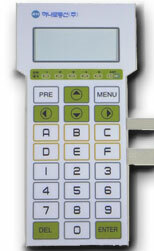 A Membrane Switch is a momentary switch device in which at least one contact is on, or made of, a flexible substrate. They offer a low cost and high reliability compared to other switch technologies. Membrane switch panels give total freedom to the designer. Being light in weight and thin in construction , this ultra reliable technology has already been adopted by many industry sectors for product use in a variety of environments. 1) Specifications for a typical Switch. 1. Direct (Ohmic) Contact: the poles of the switch must make physical contact, i.e. can not be non-contact type like capacitive, ferrite core, or hall effect. 2. Momentary Action: Upon release, the poles immediately separate as the flexing membrane returns to its original position. 3. Low Voltage Application: A membrane switch is designed to be used in low voltage, DC logic-level-signal, applications. 4. Membrane Layer: A thin pliable layer that carries one pole, both poles or that flexes during switch operation used to short both switch poles together. 5. Static (Insulating) Layer: Does not flex during switch operation but carries one pole, both poles or used to short both switch poles together. See figures 1. Membrane switches constructed with stainless steel domes have a stamped steel dome placed above each switch contact. Domes are available in a variety of sizes and actuating forces. Membrane switches constructed with polyester domes have domes formed into either the graphics layer or the top circuit layer. This creates the need for a custom forming tool and increases tooling costs. Because individual domes do not need to be placed above each contact, polyester domes are more cost effective when quantities are high. Our " Membrane Switch Materials" page explains some of the material options available when ordering a membrane switch. Specifications for a typical Switch.